This is hands down the best customer service I have ever experienced! Julie went above and beyond to make sure my delivery was absolutely perfect and that all of the small details were taken care of. I will always use Forest of Flowers for my London flower delivery needs. They are the best! Sent flowers to a friend and they came out great! I am so glad I trusted the online reviews, as I am from out of town and did not know where to order flowers from in London. A beautiful arrangement and quick service! My cousin said the flowers she received for her birthday were beautiful and very colourful. She enjoyed the birthday balloon. Wonderful surprise.Terrific service. 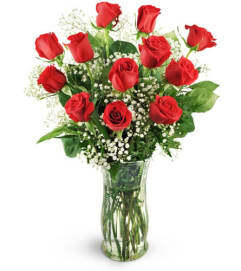 Forest of Flowers is a Lovingly Florist in Strathroy. Buying local matters. Discover how Lovingly supports local florists.